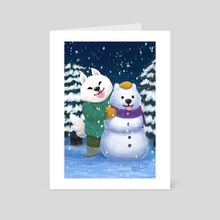 A fluffy samoyed gets creative in the snow and does his best to make a snowman. Painted entirely in Procreate. 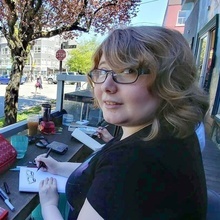 Freelance artist living in the Seattle area. Primarily works digitally in Photoshop.